Neste fim-de-semana do Jubileu de Diamante de Sua Majestade, Elizabeth II, segue artigo interessante sobre importante instituição daquela monarquia! Deus Salve a Rainha! The Act of Settlement of 1701 was designed to secure the Protestant succession to the throne, and to strengthen the guarantees for ensuring a parliamentary system of government. The Act also strengthened the Bill of Rights (1689), which had previously established the order of succession for Mary II’s heirs. Mary’s father, James II, had fled England in 1688 during events described as the ‘Glorious Revolution’. James’s Roman Catholic sympathies and belief in the divine right of the Crown, resulted in disgruntled parliamentarians offering the throne to his eldest Protestant daughter, Mary. She accepted it on condition that she could reign jointly with her Dutch husband, William of Orange, who became William III. From this time onwards the Bill of Rights proved to be of fundamental importance for the evolution of constitutional monarchy. The Act of Settlement reinforced the Bill of Rights, in that it strengthened the principle that government was undertaken by the Sovereign and his or her constitutional advisers (i.e. his or her Ministers), not by the Sovereign and any personal advisers whom he or she happened to choose. Although the Bill of Rights had established the order of succession with the heirs of Mary II, Anne and William III, neither of James II’s daughters had surviving heirs casting uncertainty on the future of succession. Mary had died of smallpox in 1694, aged 32, and by 1700 William was dying. Anne’s only surviving child (out of 17 children), the Duke of Gloucester, had died that same year at the age of 11. Without a confirmed heir the decision was made by parliament to ensure that succession of future sovereigns remained within the Protestant faith. According to the 1701 Act, succession to the throne went to Princess Sophia, Electress of Hanover (James I’s granddaughter) and her Protestant heirs. However, Sophia died before Queen Anne, therefore the succession passed to her son, George, Elector of Hanover, who in 1714 became King George I. The act was later extended to Scotland as a result of the Treaty of Union enacted in the Acts of Union of 1707. The Act also laid down the conditions under which alone the Crown could be held. 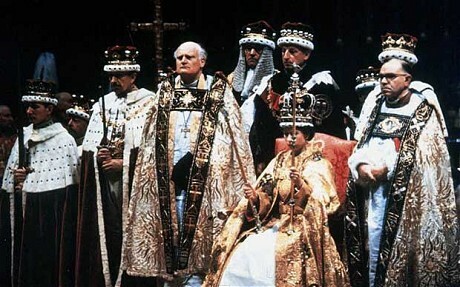 No Roman Catholic, nor anyone married to a Roman Catholic, could hold the English Crown. The Sovereign now had to swear to maintain the Church of England (and after 1707, the Church of Scotland). Two examples of members of the current Royal family being removed from the line of succession are that of The Earl of St. Andrews and HRH Prince Michael of Kent, who both lost the right of succession to the throne through marriage to Roman Catholics. Any children of these marriages remain in the succession provided that they are in communion with the Church of England. In 2008 it was announced that Peter Philips, son of The Princess Royal, would marry Autumn Kelly. She had been baptised as a Catholic but had been accepted into the Church of England before her marriage. Therefore Peter Phillips retained his place in the line of succession. Under the Act, parliamentary consent had to be given for the Sovereign to engage in war or leave the country, and judges were to hold office on good conduct and not at Royal pleasure – thus establishing judicial independence. Esse post foi publicado em Assuntos Internacionais, Monarquia e marcado Elizabeth II, Gra-Bretanha, Jubileu Diamante, monarquia britanica por Joanisval. Guardar link permanente.